Kiwi Crate has a TON of fun ideas for treats to make with your kids. These cute chocolate dipped reindeer, made from pretzels, is such an easy and fun snack for kids of any age to make. You can use the idea for a school party or put them together as a treat during Christmas break. 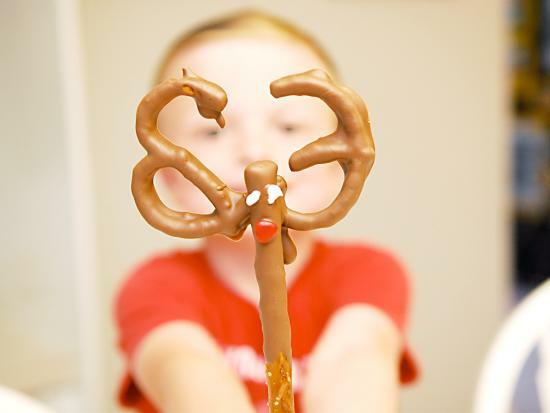 You can check out these yummy chocolate dipped pretzel reindeer and the other fun treat ideas over at Kiwi Crates' Studio.